PITCHING: Andrew has a quick arm and very athletic delivery. He has an explosive fastball and locates down and on both sides of the pate. Andrew’s changeup works well off of his fastball down in the zone and a good speed difference from his fastball. Andrew has 2 very good breaking balls; slider and curve. His curve is a true 12-6 breaker that he can locate for strikes when he needs to and has very late break to it. His slider is his out pitch; it is hard and late and looks like his fastball until the last second. 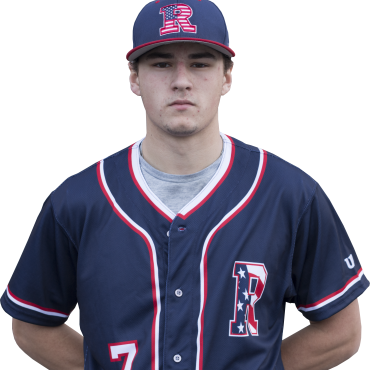 Andrew has great demeanor and body language on the mound he has a game plan and know what he needs to do to execute it. DEFENSE: Andrew is a good defensive outfield who get good jumps on the ball off the bat and also has plus arm from the OF. OFFENSE: Andrew is a very good RHH, he gets his barrel to the baseball more times than not and shows that he has good power potential. Andrew has an aggressive approach at the plate and projects success at the next level.